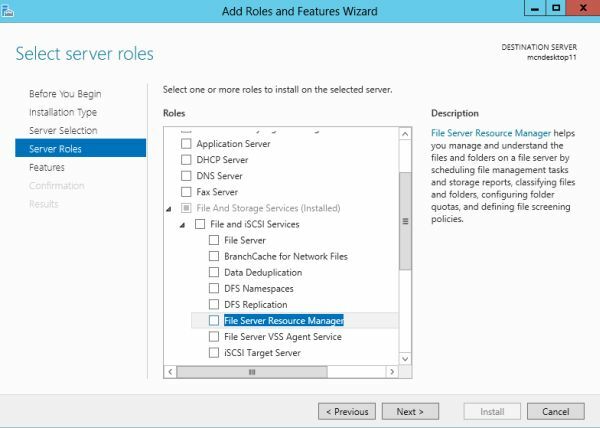 In today's article you will learn how to install the File Server Resource Manager on Windows Server 2012. 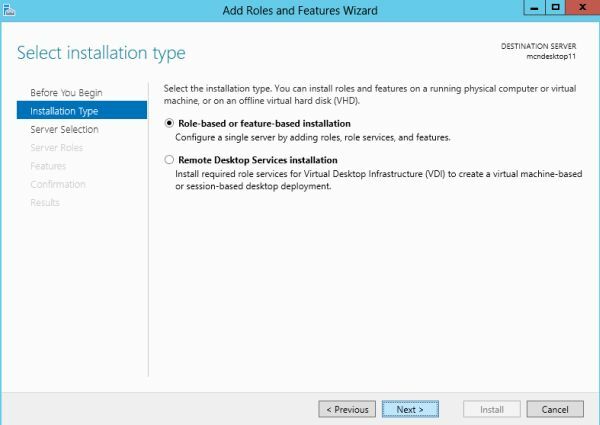 First of all login to your Windows server 2012 as Administrator, when your login is completed the Server Manager will be opened automatically, if it doesn't open then you must open it manually. 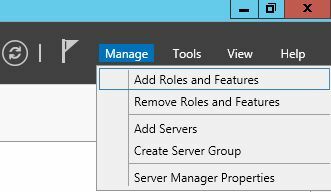 Now in the Server Manager click on the Manage Button to open the "Add Roles and Features" to add the new feature. 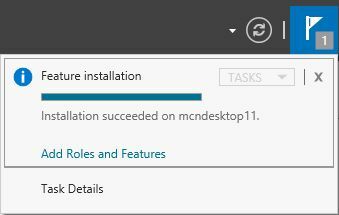 Now a new window will be opened in which a few instructions will be given, click on "Next". 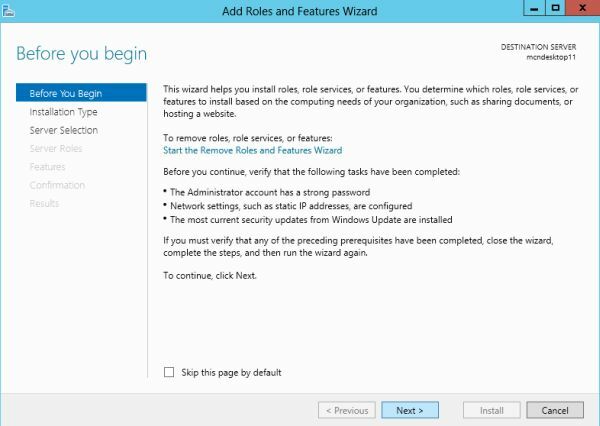 Now you wil be prompted for Installation type, from which you must select the first option and then click on "Next". Now you must select the server from the Server Pool. 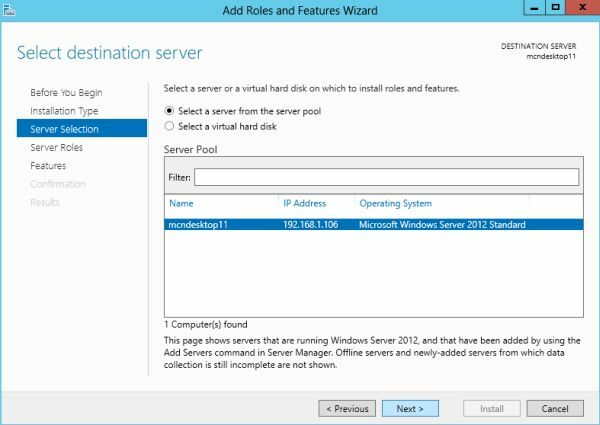 Since I have only one server in the Server Pool, my server is selected by default. After selecting the server click on "Next". 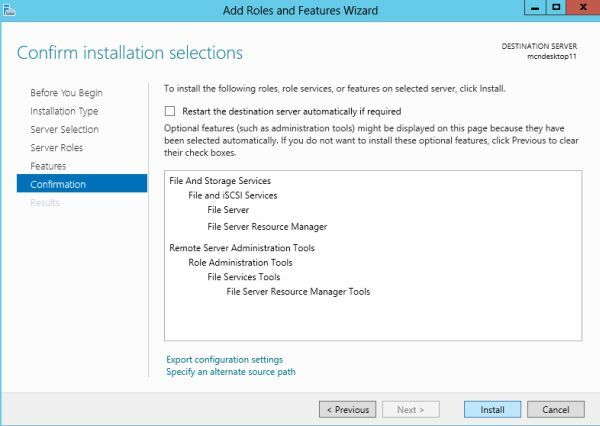 Now a list of Rolls will appear in front of you, in this list first find the "File and Storage Services" and then then expand it, then "Files and iSCSI Services" will open, again expand it to find the "File Server Resource Manager". 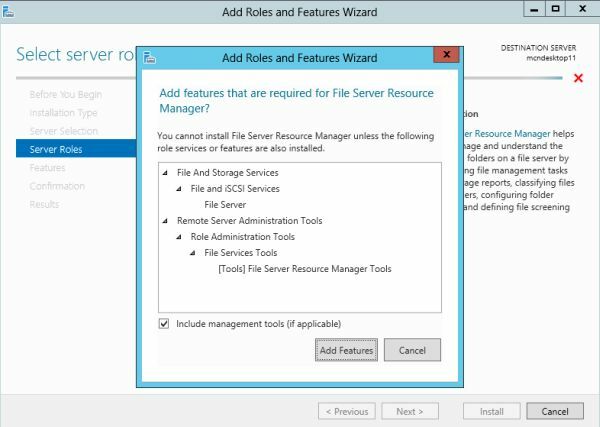 As you select the File Server Resource Manager a new window will be opened that will ask permission to Add Features. Click on "Add Features" to grant it the permission. After selecting the Add Features option, you must click on "Next" button. 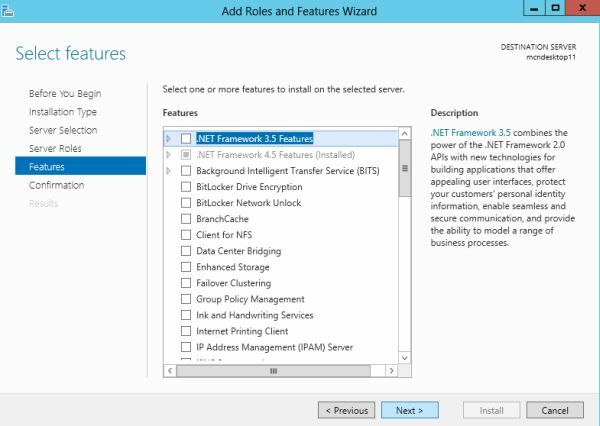 Now a list of Features will be available for selection, you can select any feature if you want to install and then click on "Next" or simply click on "Next" without selecting any Feature. Now a confirmation page will be opened, where you can give permission to the server to restart if required or you can click on "Install" without giving permission to restart. 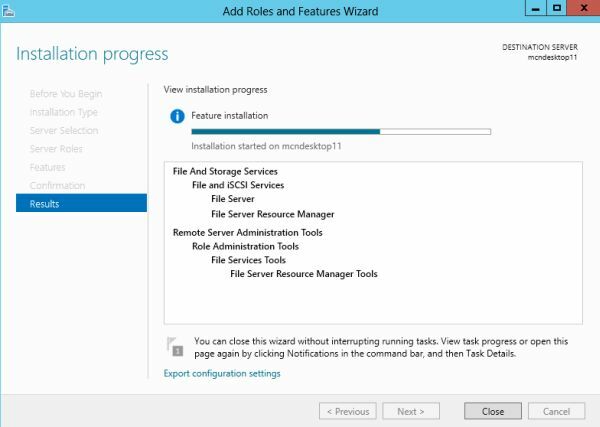 If you had provide permission to restart then your server will first be restart and then in the Server Manager you will see that your installation is successfully completed. You can get this confirmation by clicking on the Flag given on the upper-right hand corner.